Georgina is a rapidly growing community in the GTA, with over 50,000 residents. Handi maids is conveniently located in Keswick, within minutes of Pefferlaw, Sutton and Udora, surroundings communities that make up Georgina. We are dedicated to providing you with the highest quality of service. Stop by today and we would be happy to see you. Offering residential and commercial cleaning our goal is to meet businesses and home owners individual needs. Situated by Lake Simcoe we offer cottage opening and re-occurring cleanings throughout vacation times. What a way to start your holidays with a fresh clean environment. 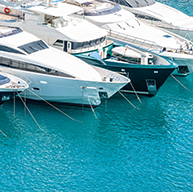 With over 10 marinas in the Georgina area, we also provide boat cleaning on-site throughout the summer months. Full interior exterior cleanings from 10ft – over 60 ft in length. What a nice idea – one less thing to worry about. We can proudly state we are the best! Whatever you need cleaned – consider it done!!! It’s our commitment to you so you can focus on what matter the most! Please call 905-476-1997 for a free no obligation quote today!